The planned 255-mile interstate natural gas transmission pipeline will transport 1.5 billion cubic feet per day (Bcf/d) of Marcellus and Utica shale gas to consumers in northern Ohio, southeastern Michigan, the Chicago hub and eventually to Ontario, Canada. The NEXUS project was one of the first approvals out of the gate for the newly appointed members of FERC and has certainly been welcome news to men and women across Ohio and throughout the country who will be tasked with constructing similar infrastructure. The building trades unions have been anxiously awaiting this announcement, and have openly and aggressively backed the pipeline’s construction since the project was announced for a myriad of reasons, many of which have been detailed in recent reports on how pipeline construction projects are bolstering the economy. 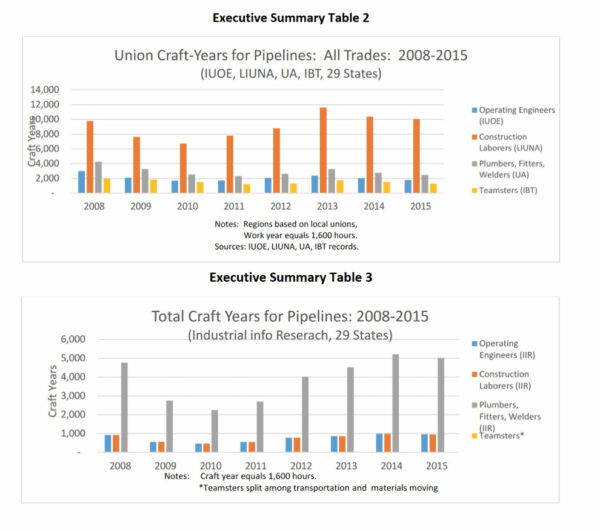 A report from Industrial Information Resources, LLC, the Bureaus of Census and Labor, and the skilled trade unions – including United Association (UA), International Union of Operating Engineers (IUOE), Laborers International Union of North America (LIUNA), and International Brotherhood of Teamsters’ Building Materials and Construction Trades Division (IBT) – found that pipeline construction has already created around 41,700 full-time equivalent (FTE) jobs annually for union members, amounting to $2.3 billion in wages per year. A U.S. Chamber of Commerce report from earlier this year also found that if pipelines are not built in the Northeastern states of Pennsylvania, New York, New Jersey, Ohio and West Virginia, it would mean nearly 78,400 jobs lost by 2020, more than $4.4 billion in labor income off the table and the loss of a nearly $7.6 billion in GDP, in addition to higher electricity and heating costs for U.S. citizens. In Ohio alone, the Ohio Laborers District Council (OLDC) recently reported that it had 4.2 million work hours over a 16-month period from January 2016 to April 2017, surpassing 2016 expectations by more than a million work hours. Achieving that level of man hours wouldn’t have been possible without pipeline infrastructure projects. 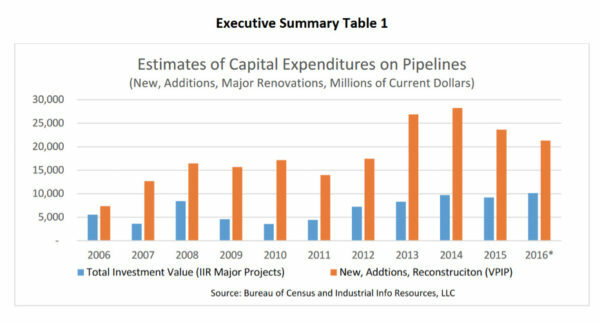 In fact, Energy In Depth research released earlier this month showed that five Ohio pipeline projects – totaling 1,241 miles – will create over 26,000 jobs, generate over $1.2 billion in local tax revenues during the first five years the lines are in operation, and move 7.65 billion cubic feet (Bcf) of natural gas daily. As numerous reports and accounts from local unions have shown, the oil and gas industry is creating thousands of jobs in the Buckeye State and U.S. in each segment of the oil and natural gas supply chain. 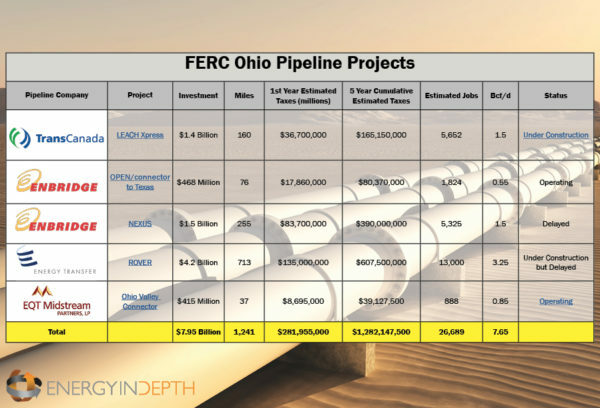 FERC’s approval of the NEXUS pipeline project will now put all five of Ohio’s major pipeline projects in play, creating thousands of jobs while proving a much-needed source for natural gas transportation.